James Farnsworth is the Chair of the Minnesota March for Our For Lives. He's a sophomore at the University of Minnesota studying Human Resource Development in the College of Education and Human Development. In addition to going to school, James works in Human Resources at the Minnesota Department of Transportation and serves as a Committee Director for the Minnesota Student Association. Besides work and school, James enjoys volunteering in various capacities in the Highland Park neighborhood in Saint Paul and enjoying time with family and friends. "I am honored to be helping lead this effort to end senseless gun violence. Something about this movement feels different. The power of the voices of young people is not to be underestimated." 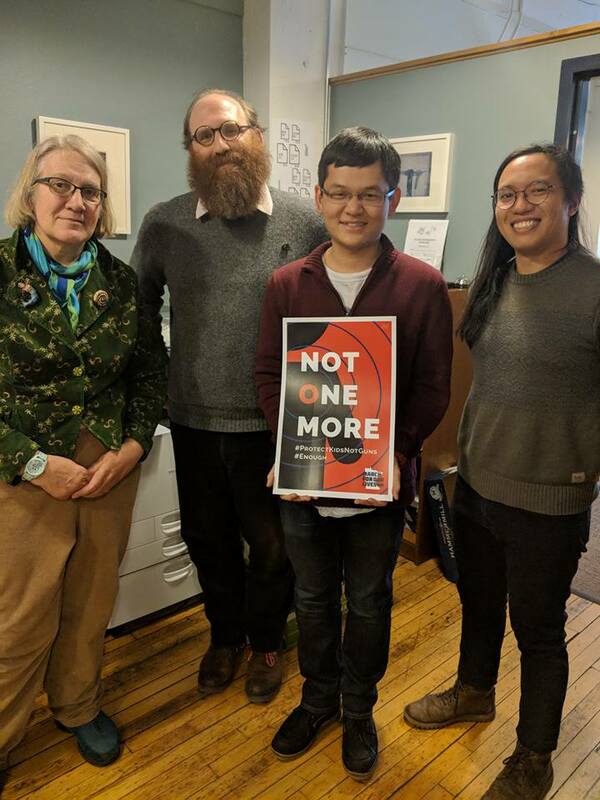 Alex Young-Williams is the Vice-Chair of Minnesota March for Our Lives. He is a sophomore at Macalester College. "I am getting involved because I am tired of inaction on this issue and want to make my voice heard!" Mia Rheineck attends Benilde St. Margaret's. "I decided to get involved with the march is because I believe that no student should go to school in fear." Collin Robinson is the current CityWide Student Leadership Board President of Minneapolis Public Schools, and former Student Representative of the Minneapolis NAACP Education Committee.